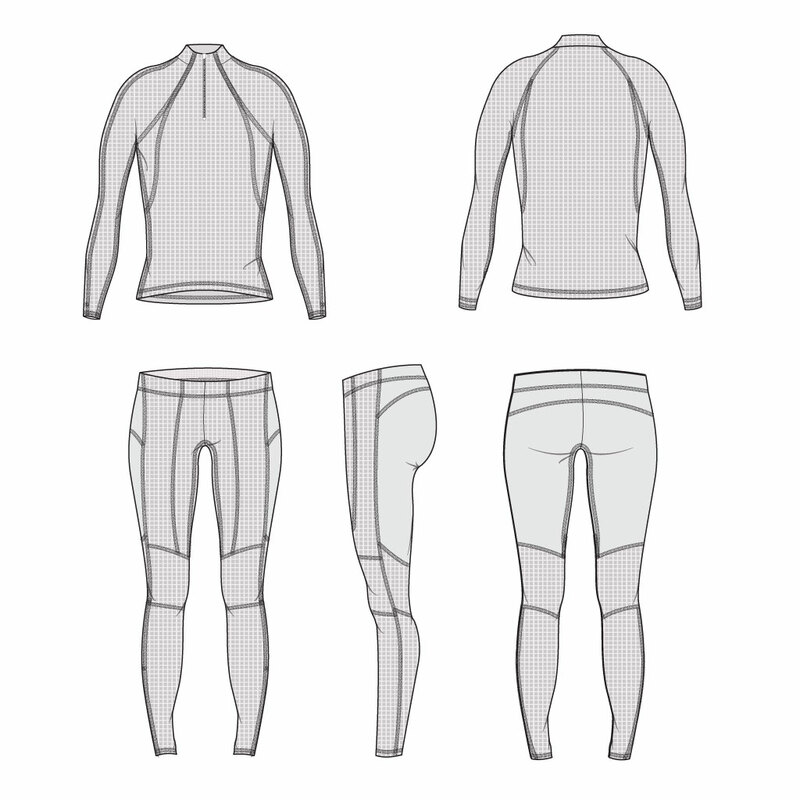 The Ultimate Women's Nordic Race Suit - Now More Lightweight! The lightweight fabrics featured in our re-designed women's gold suit completely change the way this suit feels and performs. The primary fabric is a highly elastic and buttery soft, micro-grid poly-spandex blend. It has amazing wicking ability and excellent color saturation so that your suit's colors will stay vivid. Fabric used on the thigh and hip panels has great abrasion resistance where Velcro from ski pole straps and gloves can come into contact with it. We've added even more panels for a whopping total of 34. No other race suit on the market will hug the body as well. This suit is highly adaptable - performing well on extremely hot days when an under layer may not be necessary and on extremely cold days when a warmer under-layer is needed. *Learn more about how Podiumwear addresses the Velcro issue: Dealing with Velcro: A Guide. Highly elastic, buttery soft knit fabric hugs the body and allows full range of motion. The fabric wicks moisture has excellent color saturation even under extreme tension, mitigating the undesirable white-out effect you see on some sublimated garments. We use a slightly heavier, highly durable fabric at the thigh and hip area for improved abrasion resistance where you need it most. This fabric is lightly brushed on the interior for a cozy feel.